With over 40 years of homebuilding experience, Branthaven Homes is an award-winning developer of master-planned communities across Southern Ontario. Branthaven’s latest project, Oakvillage, is set to open in late March and offers an outstanding collection of well-designed freehold and condominium townhomes. Designed for busy lifestyles, the homes at Oakvillage are configured for daily living with extra thought put toward how rooms are used, designed and furnished. The layouts are bright, airy and open,creating inviting living spaces for rest and relaxation or for hosting family and friends. The homes also boast Branthaven’s proprietary Fresh Thinking™ features that include functional pantries, under-cabinet iPad mounts and details like customizable peg organizer drawers and pull-out bins. 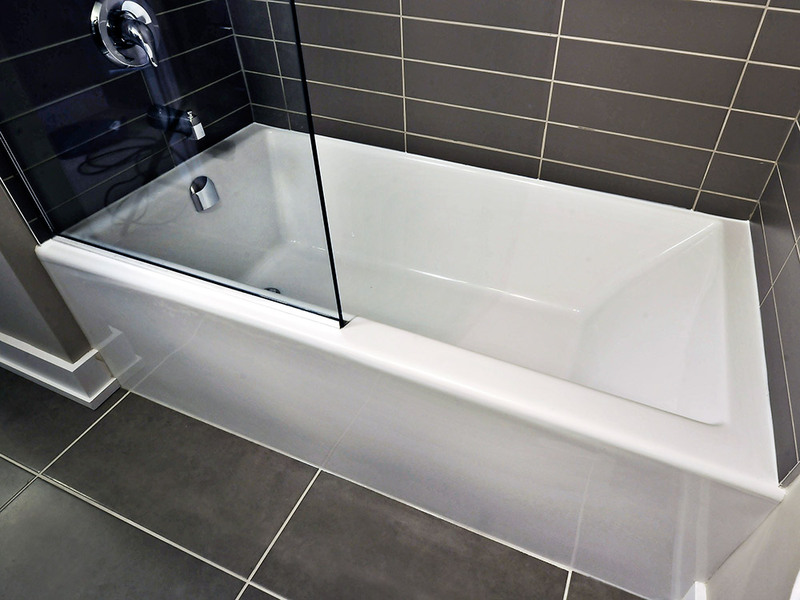 Bathrooms are outfitted with modern square edged soaker tubs, floating vanities and convenient shower shelves. They’re also finished with the finest quality materials like ceramic tile floors and cultured marble countertops. “We’ve collaborated with industry-leading designers and premium suppliers, sourced the latest and greatest products and made them our own, and from counters to cabinets, and tiles to taps, we’ve made it easier to express and improve your lifestyle in the process,” said Kristen Bellamy, Marketing and Brand Manager at Branthaven Homes. Located at the corner of Trafalgar Road and Dundas Street East, Oakvillage is ideally situated close to many urban amenities, while surrounded by scenic woodlands and green spaces. From shops and grocery stores to nature trails and golf courses, Oakvillage offers homeowners a perfect blend of convenience and recreation. Interested home buyers should register online for exclusive offers and invitations to upcoming events.